Green peas, pea pods, and fiddleheads are all great spring eatables to enjoy in season as well as having many health benefits. Below are a few recipes that bring out the best in these vegetables. 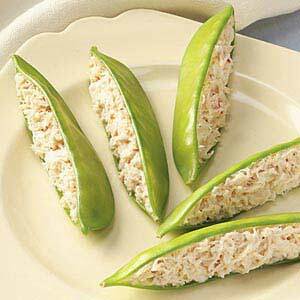 This is a very simple but delicious way to serve plain ordinary frozen peas. It's amazing what the addition of a few simple ingredients can do. - Heat the olive oil in a skillet over medium heat. Stir in the onion and garlic and cook for about 5 minutes. - Add the frozen peas and stir in the stock. Season with salt and pepper. Cover and cook until the peas are tender, about 10 minutes. This tasty appetizer or snack is a great way to make use of two of the most nutritious spring foods. And it's very easy to put together as well. I often make these on my basics day and keep them in the fridge for a snack or to feed unexpected guests. The filling and blanched pea pods will keep in the fridge for a week. Fill the peas just before serving. - Top and tail the peas and slit them on one side. This is easier to do while they are still raw. 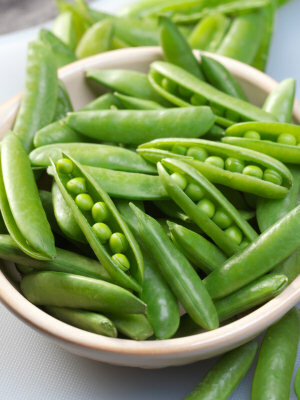 - In a pan with a steamer insert, steam the peas for just 1 or 2 minutes until they are tender but still crisp. Drain and pat dry. - Put the cream cheese and smoked salmon into your food processor and process until just combined. Season with garlic salt and pepper to taste. - Using a teaspoon, put a spoon or two of filling into each pod. - Refrigerate for at least an hour before serving to allow the filling to set a bit. Variation : Fill with salmon mousse from the gelatin post. This is another very simple way to enjoy spring produce. 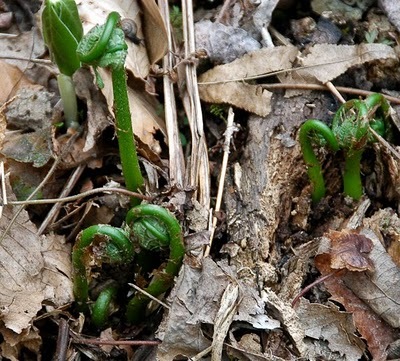 Fiddle heads have a very similar taste to asparagus. - In a large pot of water, cook the fiddleheads until just tender then drain. Usually I prefer steaming all vegetables, but because dirt can sometimes get stuck in the fine fern leaves, boiling them is an extra precaution. This should only take 5 to 10 minutes. 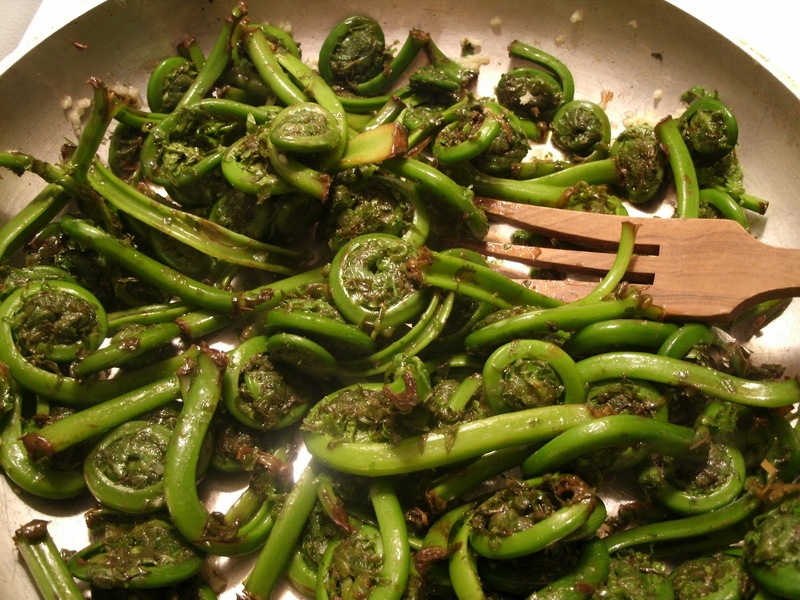 - In a hot pan heat some olive oil, then stir in the ferns and garlic and salt and pepper to taste. Quickly sautee until the ferns start to brown. Remove from heat and stir in the lemon juice.